Do you want to add YouTube Videos on your product pages? In fact, not just in products but EVERYWHERE in VirtueMart and Joomla. Free trial available, download ZIP package above. Free Premium one to one support even during the trial. No need to create custom field. No need to do any special configuration. Just write a short code and your favourite YouTube video is there. 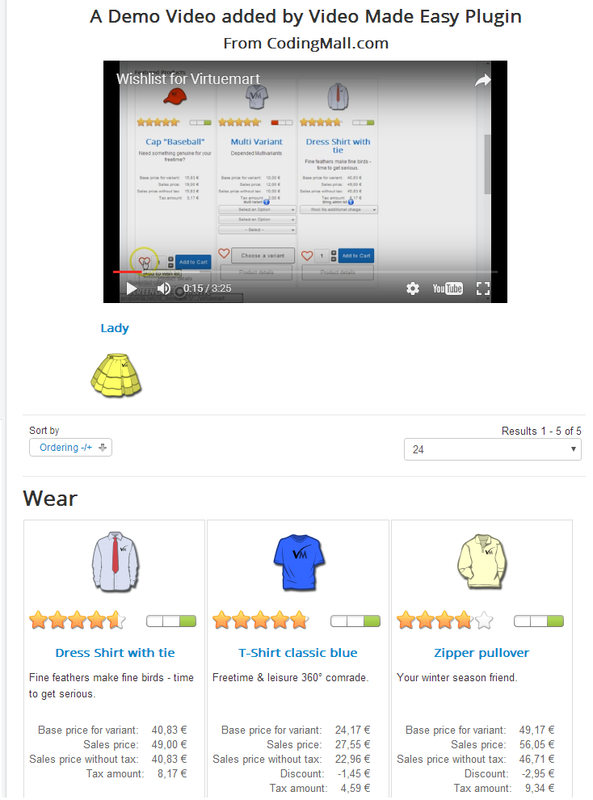 You can add videos to Category pages, Manufacturer pages and many many other places. 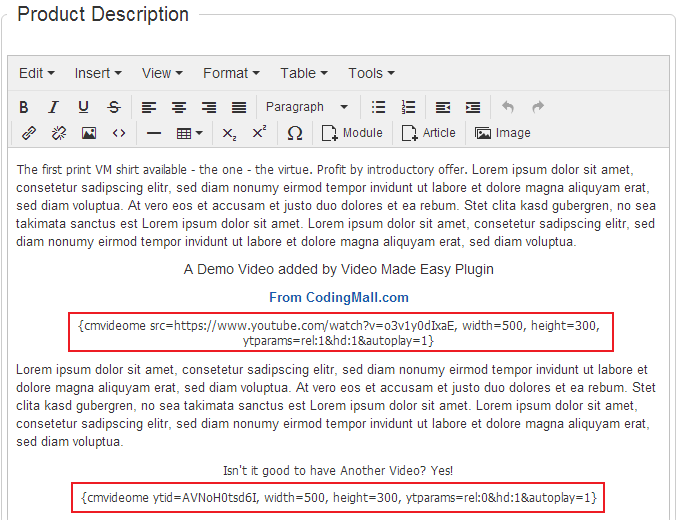 In fact you can add a video where you can write some text in VirtueMart and Joomla. Showing YouTube Videos in Joomla modules is also possible. You are not limited to just one video. You can add any number of videos anywhere. Our plugin is backed up with our fast and premium support. You are our priority. Get free trial version above! Install it, test it and when you are satisfied, buy it. Why not give it a try now? A simple example with YouTube video url, width and height. Above example code contains the url of a YouTube video with width and height defined. ytparams here is used to define YouTube embed parameters, like we used hd, rel and autoplay above. The viedo will be started automatically in above example. This example contains only video id taken from the url of this YouTube video and written in ytid parameter. This is just another video to tell your video source to this plugin. This example shows that you can also define your custom css for the embedded video. All YouTube parameters are supported in ytparams parameter. See the following link for available YouTube embed parameters. Extremely useful plugin which enables you to embed video anywhere - even on quick-look dialogs.